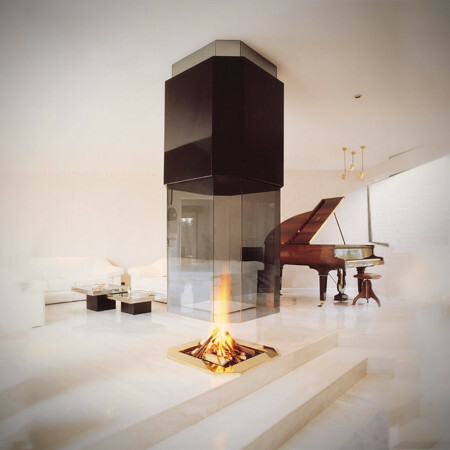 A stunning suspended or hanging gas fire, where the main canopy is ceiling hung and made out of tinted glass with a white plaster finish around the top. 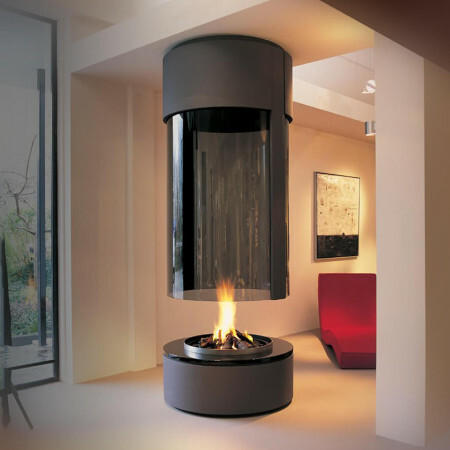 This contemporary suspended fireplace leaves the area below the canopy open allowing a wonderful aspect to the flames from all parts of the room. 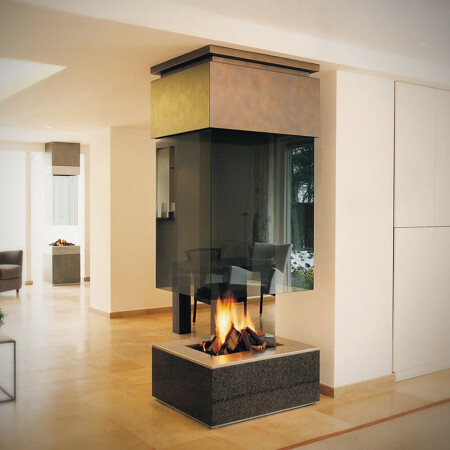 The base section is made from Belgian bluestone custom fitted around the step; although it can be clad in other materials, made into useful storage or be made larger to create a cosy seating area next to the fire. 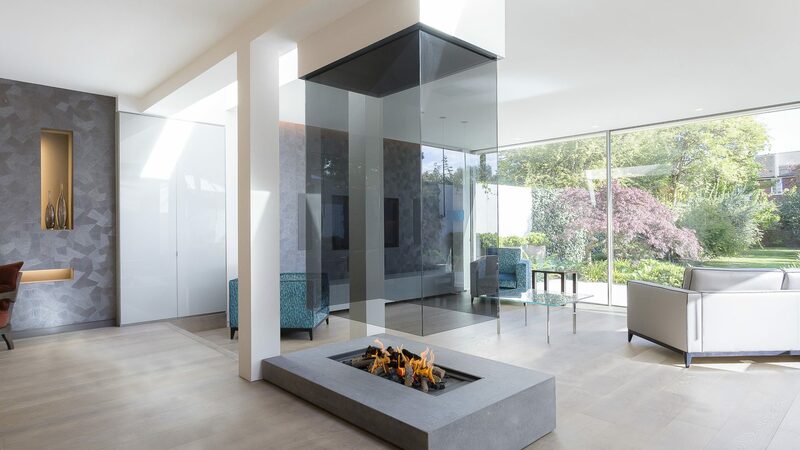 Custom designed to fit between the floor to ceiling space, this beautiful suspended gas fire is a great way to create a central feature to a room, whilst not obscuring any views out to the garden.